This Flexzilla garden hose with swivel grip is the ideal pick for anyone looking for a versatile garden hose that can last for a while, withstanding all the harsh outdoor elements. Anyone can use it, thanks to its lightweight design that makes carrying it seamlessly. It is made from a very lightweight material of flexible hybrid polymer. This material construction is what makes it tangle-free for easier gardening and watering around your property. It is 5/8-inches in diameter and 50-feet long. If you want to buy a recommend a garden hose for yourself or any of your friends, or family, opt for this one. It will not let you down for years of use. Besides, it comes at an affordable price. How Did Flexzilla Garden Hose Fared in Our Tests? Moreover, this product tends to stand out from the rest of its competitors, due to its couplers and the fact that it does not kink even under pressure. Likewise, it coils very easily, until it is all flat with zero memory. This Flexzilla water hose is very easy to connect to the spigot and other attachments, as it has male and female swivel grips for making the connections easier and quick. Besides, it gripping surface is easier to turn and tighten. In addition, its swivel action often ensures that both ends of the hose can be attached while extending the hose, no hose twists. This makes everything attached lay flat, even the Flexzilla hose. Its superior O-ring also enhances the connection, by preventing leaks for the long-term use. This garden hose has a limited lifetime warranty on defects in material and workmanship, from the date of purchase. You will have to return the whole hose, show proof of date of purchase as well as send it with the original retail label, for the warranty to work. You can always read more on terms and conditions before purchase. Why Should You Consider Purchasing This Garden Hose? 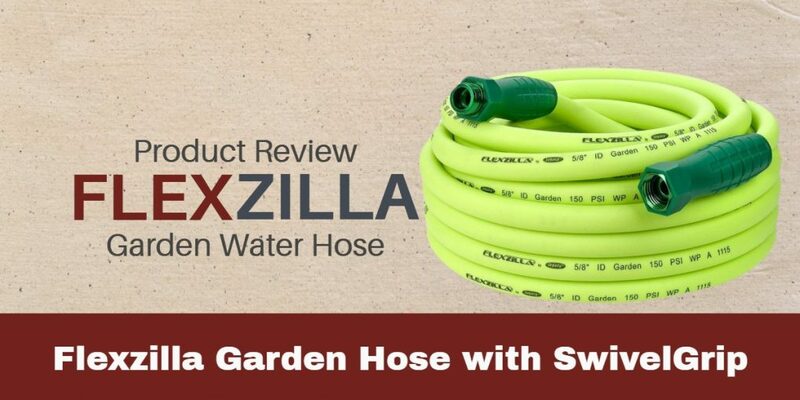 Here are some top features on this Flexzilla hose that make it stand out from the rest of the garden hoses. This Flexzilla hose has couplers that are made of strong, crush-resistant aircraft grade aluminum. These couplers have plastic sleeves also known as swivel grips, which slide up all over them. The swivel grips are designed to fit snugly over the shaped exterior part of the couplers and down far off the garden hose. This way your hand can fit on it, without any problem thus making it easier to turn the coupler with your hands rather than just fingers. Besides, this feature makes it ideal for the old hands damaged by constant work, as well as people with arthritis. Moreover, these couplers can turn independently, from your garden hose. This makes it easier to tighten to another garden hose or faucet without having to fight with a flopping garden hose. 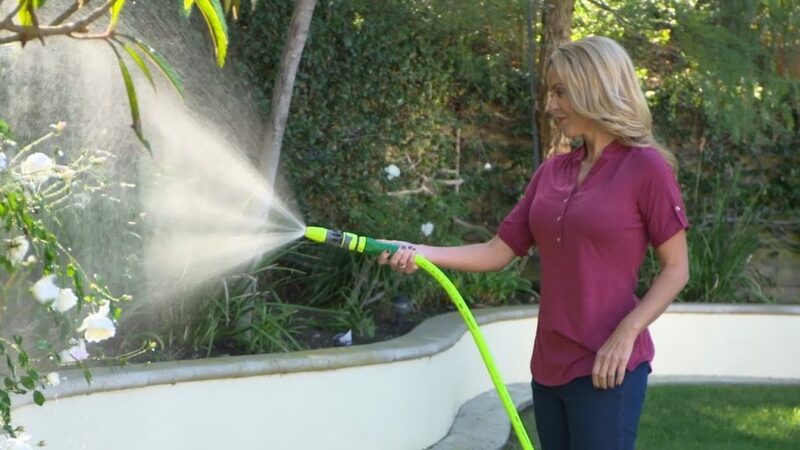 Likewise, it also means that even as you turn the hose nozzle end or make turns around corners, the Flexzilla garden hose will not fight you or make it hard to do so. Instead, it will turn hassle-free. Therefore, the water sprinklers will not be in a position to flip over after you put them down, with this garden hose. This Flexzilla water hose has a high strength rating but still manages to be highly flexible, thanks to its hybrid polymer material construction. It has a malleable breaking strength of over 25,000 lbs. As for water pressure, it can withstand a PSI of up to 150 at 70°F, no water bursts. As much as this garden hose is highly flexible, its material construction makes it very durable. It can withstand loads of outdoor elements, from harsh weather conditions to other environmental hazards thanks to its abrasion-resistant exterior covering as well as crush resistant anodized aircraft aluminum fittings. It is flexible yet still strong enough not to kink when under pressure. You can drag it all over your garden, around your flora and fauna, porches and it will still stand strong, no pinches. Its exterior sheath will not even wear, even if you opt to drag it over and around concrete blocks. No matter how you coil this Flexzilla garden hose, you can always drag one end of it and it will unroll no kinks, as it is being pulled out. You just hold onto its sheath that covers its coupler on one end, to allow the swivel grip coupler to turn freely, no kinks. However, when this garden hose is under pressure, it can be difficult to coil. The best thing to do is to turn the water off and release the pressure via the sprinkler or hose nozzle before you coil it. Moreover, you can make the whole coil and uncoil process, easier through a hose reel. You just have to follow the instruction on use for an effortless job, but always stretch the garden hose flat before winding it onto the hose reel for the first time. The hybrid polymer inner tube of this garden hose is what makes it safe for drinking water, just like the stainless steel garden hoses. Moreover, it is also lead-free, with no other harmful chemicals. So feel at ease when using it for drinking water anytime. Conclusively, if you want a top-quality garden hose, then pick this one as it is bound to function as stipulated. You can always check other reviews on it, but this one can also guide you in choosing it as you top garden hose for numerous watering and cleaning tasks, around your property. 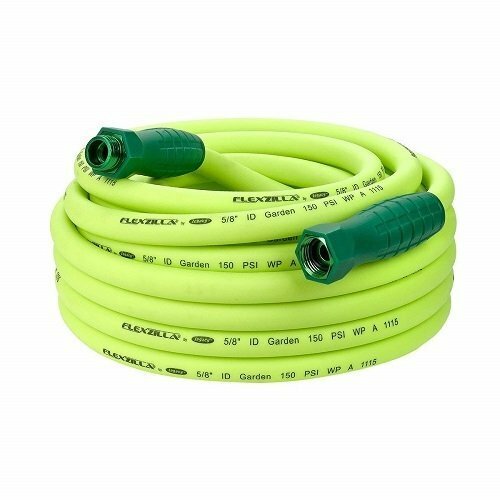 Therefore, if you want to buy a recommend a garden hose to any of your friends, or family, opt for this one in this Flexzilla garden hose review. It will not let you down for years of use. Besides, it comes at an affordable price.